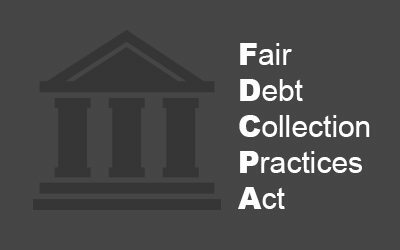 When the Fair Debt Collection Practice Act (FDCPA), 15 U.S.C 1601, was first enacted, it specifically exempted creditors attempting to collect their own consumer debts. With the enactment of the Consumer Financial Protection Bureau (CFPB), large financial consumer lenders have found that many of the protections afforded consumers by the FDCPA are being applied directly to the lenders, despite the exemption. The CFPB has supervisory authority of financial institutions with assets over $10 billion and their affiliates and also over mortgage originators, mortgage servicers, payday lenders and private student lenders. Therefore, such large lenders who are involved with consumer loans (made for personal, family household purposes) need to be aware of the need to be in Fair Debt Collections Practice Act compliance. Accurately stating the amount of the debt. Communicate only with the consumer about the debt, with certain exceptions. Do not communicate at unusual times (usually before 8 a.m. or after 9 p.m. in the consumers time zone). Cease communication if the consumer advises they are represented by an attorney. Cease communication at the consumer’s employer if advised to do so. Do not harass or abuse the consumer. Do not make false, deceptive or misleading statements. Do not use unfair practices to collect a debt. Do not attempt to collect a debt past the statute of limitations. While this is a partial list, if you feel that the FDCPA or CFPB may apply to your debt collection efforts, you need to be well trained it these legal requirements. The FDCPA spells out in much detail what are prohibited practices, but you might be quite surprised to learn what the courts have found to be an “unfair”, “harassment” or “misleading”. Contact our experienced collections attorneys today to schedule a consultation at (813) 676-9082 or Info@whhlaw.com. Thomas K. Sciarrino, Jr., Esq. Previous PostWhen is Someone Entitled to Florida’s Head of Household Exemption?